We got our hands on the new “Golden Duelists Collection – 9-Pocket Portfolio” and figured we’d give you a quick review with a few photos. This will be hitting stores April 5th, 2019. This card binder retails for $9.99 and seems solid and well-made. It has 10 pages, and thus slots for 180 sleeved cards – front & back. There is a black anti-slip meshy material behind each slot that keeps cards in places, and prevents the YGO cards from touching each other back to back. The black background also makes your cards visually “pop” in the binder for a nice look. 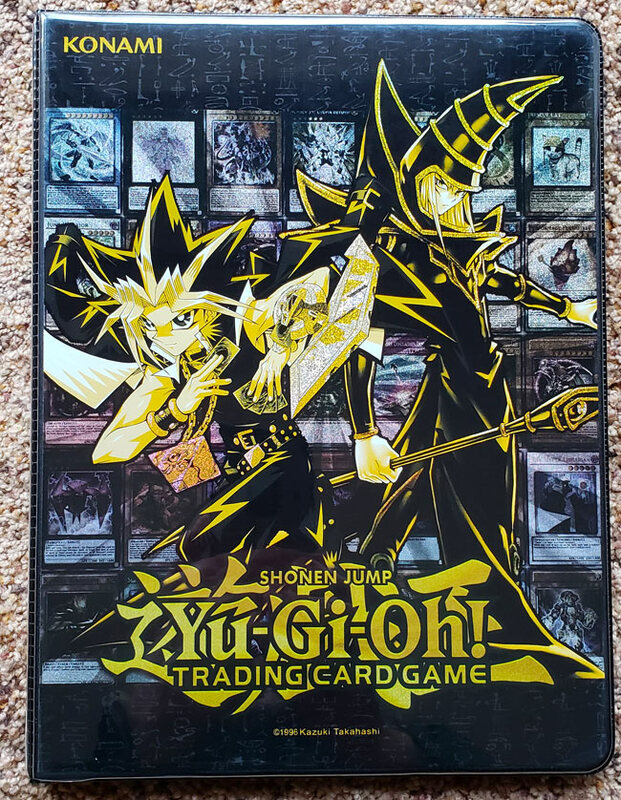 The front cover features a Gold-Glittered Foil Yugi and the Dark Magician. 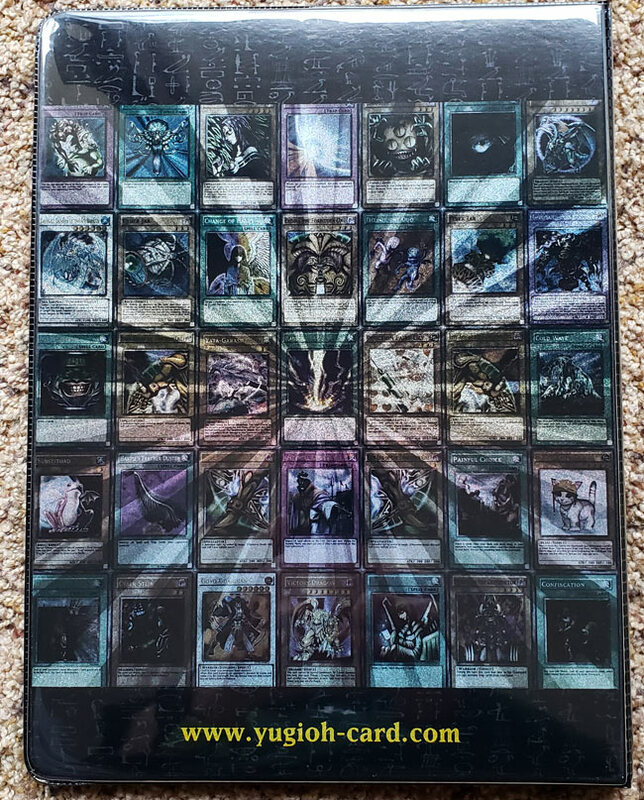 The back cover features a variety of popular Yugioh Cards. Our photos are not really doing the cover much justice, but the gold-glitter effects really do pop out and look great in real life. Cards are also side-loaded. This keeps cards from accidentally flying out the top. We like this a lot. This portfolio is about 3/4″ thick, 11.75″ tall and 9″ wide. 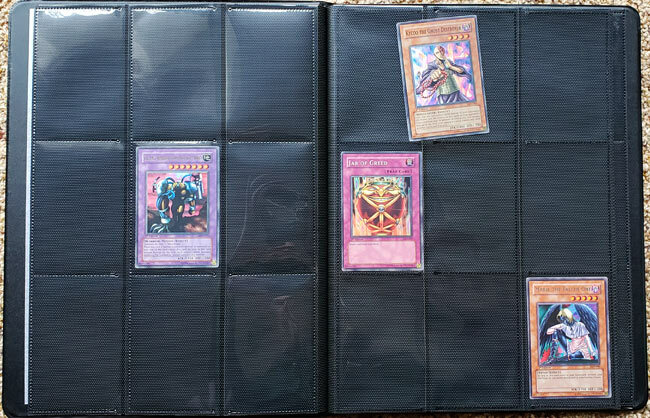 All in all, for $10, it’s easy to recommend this binder to YGO players. 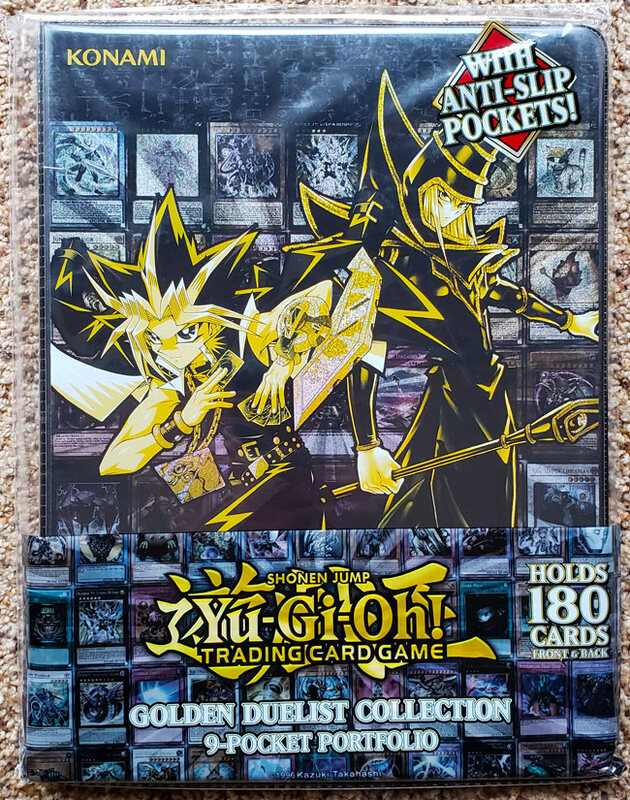 The Golden Duelist Collection Duelist Portfolio has a special glittering foil that is unique to the Golden Duelist Collection and matches the other accessories. Each Duelist Portfolio includes 10-pages with 9 pockets per page, allowing you to display up to a total of 180 cards! Built with a side loading design, you will also get an extra layer of protection for your cards. There’s no better way to show off your collection!